Florida Fish and Wildlife Conservation Commission (FWC) officers cited a man for keeping two Loggerhead sea turtle hatchlings in his household aquarium. In response to a tip by a concerned citizen, FWC officers visited an address in Jupiter. After investigation, William Henry Jowett (DOB 08/09/1961) was issued a first-degree misdemeanor citation for possessing two loggerhead sea turtle hatchlings. Jowett had obtained the turtles from his backyard canal two months prior and put them in the aquarium for his daughter to see. 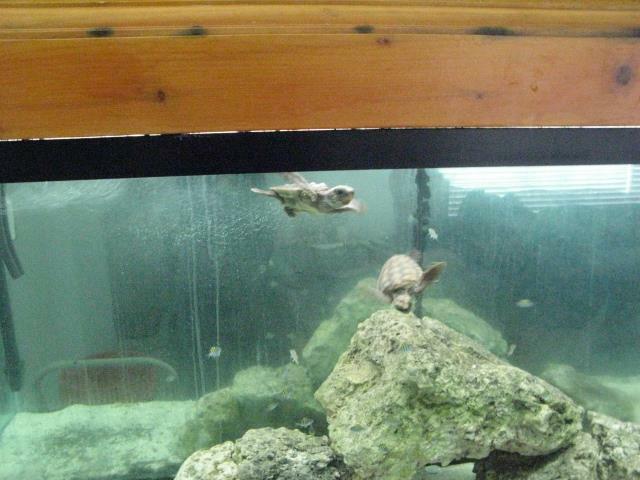 Jowett said he planned on releasing the turtles but grew attached to having them in the tank. The two loggerhead turtles were removed from the saltwater aquarium and transferred to the Loggerhead Marine Life Sanctuary Center. The turtles have since been released offshore. The loggerhead sea turtle is listed as a Threatened Species by the Federal Endangered Species Act, a Federally-designated Threatened Species by the Florida Endangered and Threatened Species Rule and by Florida’s Marine Turtle Protection Act. Florida Statutes restrict take, possession, disturbance, mutilation, destruction, selling, transference, molestation and harrassment of marine turtles, nests or eggs. For more information on the Loggerhead sea turtle visit MyFWC.com and type “Loggerhead” in the search box. Jorrett was issued a first-degree misdemeanor citation. Penalties could include up to one year in prison and/or a fine of up to $1,000. This case is a great example of how tips from the publlic can help. If you suspect a fish, wildlife, boating or environmental law violation including someone disturbing a sea turtle or sea turtle nest you should report it to the FWC’s Wildlife Alert Reward Program by texting or emailing Tip@MyFWC.com, calling 888-404-FWCC (3922) or dialing *FWC from your cell phone.